For the next few weeks, important people across the nation will stand in front of graduates and their families delivering thoughtful and articulate speeches to the class of 2011. I may never make one of these speeches, but after teaching the class of 2011 for the last nine months I decided to draft the speech that I would give them. Too many people will tell you today that you are our future. You’re not. Thank you very much, but I have my own plans for the future and depending on yours they may intersect, but no, I’m not looking out with excitement about your potential to take care of my world tomorrow. I want you to change your world today. You are not the future. That would mean that everything you do today has no other value than what it prepares you for at some future time. After today, some of you who’ve been in my Friend queue on Facebook will make the cut and I will confirm our friendship. But I’ll let you in on an important secret. Most of you have been my peers for months. I learn from you, I grow because of you, I become a better person because you were a part of my life. 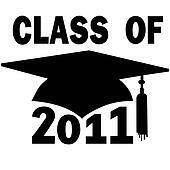 Now that you turn the tassle from left to right it merely becomes a matter of formality. Maybe if you’d known this earlier you would have acted more like it. The classes you skipped, the tests you didn’t prepare for, or the homework you either half-way did or borrowed from a friend aren’t really the behaviors I expect from my peers. That’s ok though, just because I’ve called you a friend doesn’t mean that you don't still have some growing up to do. I have a little of that left myself. But remember, you’re not my future, you’re your own present. So act like it. All this future talk can lead you down the wrong road. For a long time, us adults were pretty immune from the whim of fad and fashion. It seems that technology has changed this as well. We’re motivated by the next best thing and constantly try to stay ahead of the curve. You’re graduating, it’s time to ignore the curve. Don’t spend your life chasing the tail of the world hoping to hop on it’s back for a ride. Learn who you are, embrace your identity. Whether it’s rooted in family, faith, or passion, embrace your identity and let the world chase your tail, and hop on for a ride. Everyone will tell you that you’ve grown up in the information age, but the information age is coming to an end. Instead of chasing what’s next, discover what is enduring. The values that never go out of style—creativity, excellence, and generosity. Simply put, create stuff; do it well; and share it. Maybe you’ll make a few bucks off of it, but if you haven’t noticed, we’ve created a pretty rotten economy for you to inherit. Financial success is no guarantee, so you might as well work toward fulfillment. You’re more likely to find it than wealth, and really, if you find it, you’ve found wealth. Congratulations to everyone who was able to stand tall! And also for taking a seat. You’ve experienced life. A rich series of events both bitter and sweet, sometimes all at once. Don’t fail to enjoy and savor the good, but don’t run from and hide from the bad. These are the moments that have made you the person you are and will continue to make you until death. Grab hold of them and own them. Be comfortable with yourself; and when someone asks about your future show them how you’re living it instead of telling them what you hope it will be. Abraham Maslow said “I guarantee that if you strive to become anything less that what you are capable of you will never find happiness.” I believe that every one of you have something to offer this world. And we need it now. Don’t wait for tomorrow. Do something, do it well, and share it with the rest of us—today and for the rest of your life. The well publicized rapture came and went on Saturday with no apparent impact. Or maybe I and everyone I know are bad people. But wait just a minute, Saturday was not without incident. My most recent blog post which I sat editing on Saturday at 12:10 EST is missing. I hit CTRL-Z to undo a recent edit and whoosh...flash of light...tingly feeling...sounds of bells...and I'm left with an empty dialogue box. Before I could do anything helpful google slaps an autosave on me and....the post is no longer among us. Perhaps this post was too perfect. It did after all warrant a compliment from an award winning author after a cursory review. Sadly I cannot recall the majority of content and since I can't remember exactly what it said, it's as if it never existed. Weird Huh? Schools are Under Attack-When I take in all that is happening in reform efforts I am left with one conclusion. There is a deliberate effort to undermine and even destroy our public school system. At the least there is an effort to stop funding it, ignoring all the untold good that has been done in our nation's history as a result of free public schools. I am not a truther or conspiracist...just a teacher who is careful with his observations. High Stakes Testing is Bad- 10 years worth and nothing really to show for it. Data can be misleading if interpreted for a purpose. This testing changes the focus of schools to something that is not good(see previous post). Watching your kids take such a test makes you hate the psychometricians...yeah that's a real job and they are real people and they do a "real" job. Not sure we need them but they exist. Vouchers aren't all bad, but they aren't all THAT either- It is not fair private and charter schools can turn students away. We as public schools can't and shouldn't. No wonder they sound better compared to public schools. Also taking PUBLIC money away from schools filled with kids that really need it is a BAD idea. It could potentially undermine one of the strongest social institutions in this nations history and much of the good they've done. Companies are slowly getting more influence and thus control over our schools. This is bad since companies exist to make profits. (in that sense at least they are not like teachers). When faced with doing what is right with doing what they want...its about the profits. A colleague shared this recent article which illustrates the problem....$266, 000?...that was their offer for a screw up. Despite the absence of tenure I suspect no one at Pearson was labeled "bad" and blamed for everything. But mistakes happen. Get over it and move on. Who holds the accountability machine accountable? People in charge of education reform are certain they are right. Hey, what if they are not? I'm pretty sure every teacher I know think they are NOT. Makes you think huh? A recent blog post described the nation's chief reformer as "condescending, arrogant, insulting, misleading, patronizing, egotistic, supercilious, haughty, insolent, peremptory, cavalier, imperious, conceited, contemptuous, pompous, audacious, brazen, insincere, superficial, contrived, garish, hollow, pedantic, shallow, swindling, boorish, predictable, duplicitous, pitchy, obtuse, banal, scheming, hackneyed, and quotidian." I think he even de-friended him on facebook. But there was a ton more...mostly from those who support them. And I think for misguided reasons. The abridged version might be like watching a movie trailer where you get the idea but not the substance. For this I apologize. Blame Harold Camping. My colleague mentioned we are immersed in testing season...and to a teacher that imagery might more closely be associated with being water-boarded. Watching your kids take one is awful...simply awful. I am also passing through the busiest period of the tennis season and my coaching obligations, while very worthwhile, are quite extensive. So below is assembled a hodgepodge of ideas I had recently that perhaps don't warrant their own post but I thought might be worth sharing via TU. One of the worst things we can do to education is continue the push to privatize it. There is a role that for profit companies can play but when they get too big a piece of the pie they become like a dog fed at the table. Once they get a taste of public funding they won't go away. They become dependent on it and only want more. Their presence is driven exclusively by one desire, to get what they want, profits. In the case of schools it will come a very stable and reliable source, the government. When profits are placed ahead of what's good for kids and schools, we've got trouble. 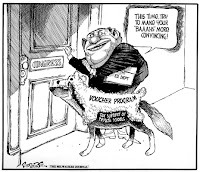 As changes in funding continue to rattle the establishment things like vouchers come up. I try to avoid discussing them as they tend to be a polarizing issue. I only ask that a few things be kept in mind. They will not "fix" the schools we have. Taking money from already underfunded schools(not necessarily where I work) is bad. I've sat in private school classrooms and short of the the obvious they aren't a whole heck of a lot different from public school classrooms. But...those classrooms lie in schools that have the power to exclude kids and keep them out. You want to fix public schools...give them that power. Problems solved. Wait .... what? I would never actually suggest that. I was a literary device called sarcasm and it illustrates how representing vouchers as the solution is way off base(that's a metaphor). Vouchers are hard to nail down as they mean different things in different places. One of the few worthwhile efforts to figure out their impact came in Milwaukee where some smarterer folks than me looked at their impact(See the study summary here). I only really remember one sentence as I perused it during an emotional episode of Deadliest Catch. This was the sentence..."A full eight years after the school district expanded the voucher program, it is still not possible to measure whether voucher students in Milwaukee perform better or worse than their counterparts who remain in public schools." Any questions? What I am seeing is what I fear most. This wave of reforms are getting rid of the good teachers not the so called "bad" ones. High stakes testing doesn't reward the best teachers it frustrates them and drives them away. Is the business model the best approach reformers on the outside can come up with? What else should we expect when you have people who aren't really teachers making decisions. While reading a recent article in The Daily Progress about how some Divisions Superintendents had approached the state about possible changes to Elementary SOLs, I was struck by a quote from Superintendent of Public Instruction Patricia Wright. While leaning against the requests she stated "I am a teacher at heart … and I just find it hard to believe that teachers can't be creative and they can't teach enriched curriculum while at the same time making sure that students have basic knowledge and skills"
I harbor no ill-will towards Wright and she might even be correct on the issue above. But the teacher at heart part stuck in my craw(For those taking the biology SOL the "craw" is in your gut near where you get side stitches and next to the gizzard). I googled her and found she "served as chief deputy superintendent, acting superintendent, deputy superintendent, assistant superintendent for instruction, director of secondary instruction, associate director of secondary instruction and state mathematics specialist." So its evident her ascension is well earned. But to me that simply meant she has not worked in a Public School in 26 years. Let's see...early to mid 80s... I was in school in the same county where I teach and if you are unaware, they have changed a bit since. I flash back to a local elementary community classroom that had no separation between rooms and might be linked to my short attention span. What was I saying? Oh yes, I can't remember what we learned but I do remember some things. I recall among them finding out I'd be re-districted to a new middle school in the coming year and how that affected my grades, watching the solar eclipse...dispensing with the cardboard contraption we made in science class and using my naked eye at various points, playing soccer during lunch and the day they wheeled in the Apple II so we could learn "LOGO" programming language. The landmark I.D.E.A had even been thought up yet. Some say education was better then, some say better now, but both agree different. But Wright's no dummy. She's articulate, highly educated, well-informed, and most importantly well-intentioned. Here's what she is not. She is not a teacher. I'm a teacher. No one thinks quite like me. I know my school and I know my kids. Why then do people listen to those who aren't teachers before listening to teachers? Makes about as much sense as staring at an eclipse without that stupid cardboard box device on your head(see post for real facts here). Before coming to VDOE in 1985, Dr. Wright taught mathematics for 10 years at the secondary and middle school levels in Sussex County and Chesterfield County public school. But she no longer thinks like me, a teacher. Not at all. I suspect she thinks more like a politician. She has served as the Super for both Democratic and Republican Governors and no one, I mean no one, thinks like a teacher, unless they teach kids each day, every day. Some argue to improve education we should let the markets control the direction of policy and decisions. That's exactly what we shouldn't let happen as the "market" can be a very de-stabilizing element. If nothing else public schools are stable. They are admittedly hard to change but the good thing is that stability should be seen like a rock solid retirement investment. Should we let Wall Street drive the decisions that prepare our children as it did for the economy in the period leading up to the end of 2007, or with the dot-coms bubble, or the oil spike of the 80s and 90s, or in the 1920s(the list goes on)? High Risk, high reward? I'd hope not but I think we are a little late. For 10 years now things have been leaning more and more in that direction. What's changed for the better? While public confidence in schools is seemingly at an all time low, scary to think how readily talk of competition and improvement echoes a financial firms commercials. But how much more fragile would schools and our confidence in schools be if we let Wall Streets or Gates and Broad lead? One year's decline in scores or a principal's departure might undermine confidence as it does the market's confidence following a news headline or singular event. One thing I know is that while funding our schools may be been more challenging during these periods of economic volatility, we should not take risks and cede control to those with divided loyalties. All that is required for these things to occur is that smart level headed people, perhaps like those of you reading this blog, to say and do nothing. Before you scurry down to the registrar and sign up to run for school board, get more informed. Get more active and at the least more vocal about the issues affecting our schools. Talk to teachers and avoid claims of being on their side and ask what they think. Most of all make sure the positions and decisions you support will not break what isn't yet broken. Too many people already fit that mold. May Madness is Here! Testing season is officially open. My third grade daughter told me just the other day that her school had a pep rally. Confused about why an elementary school without sports or other competitive activities would have a pep rally, I would find out quite matter of factly, "for SOLs dad." I can't find fault with the measures that our elementary schools take to encourage students to perform well on their end of year tests. I've yet to really figure out if there are any incentives (external or internal) for the students to perform well, but I know for certain that our teachers and schools face quite a bit of external incentive for their students to perform well. That probably explains the trio of videos I want to share this week that my son shared with me last week. This one is a parody of "Tik Tok" by Ke$ha. I have to hand it to the band director that created this one. Well made and quite entertaining. If you're out there, I'm not poking fun, I admire your ability and creativity. It does pain me that there is a need to direct this talent toward motivating students to do their best on standardized tests. The next video comes from the same creative mind. Geared toward a middle school crowd, who better to parody that Justin Bieber. "Benchmark, Benchmark, Benchmark ooohhhhh". At forty-one seconds, we are able to see what has become the "holy grail" of education, the completed bubble sheet. I'm not quite as much a fan of this next one. I can't quite explain it, maybe it's the song, but the mood of this video just seems so much more "Brick-in-the-Wall" Pink Floyd than "Teach Your Children Well" Crosby, Stills, and Nash. These are fifth graders ready to put on their "Test Taker Face." I don't intend to be offensive toward any of the students or teachers who created these videos. Your creativity and excellence in production is quite evident. The reason these videos stand out so much for me is because I've seen first hand from my own children in elementary school, from other elementary schools that I've visited, and in the high school where I teach just how these standardized tests take over a school and bring it to a stand still. Activities, educational and otherwise cease to accommodate and make room for the sacred space of testing. That quote very much explains the flaws in current thinking and direction of Education Reform Policy. Visit the link below and see how Richard Rothstein alludes to the fact that the most influential education policy figures today might be guilty of choosing their facts. Despite internet reports we here at TU have yet to endorse Donald Trump or any other candidate for that matter as we try our best to avoid overt political involvement. In fact we tend to frown on those who criticize or attack for personal or political gain. Keeping this effort in mind the tone of criticism of public schools and specifically teachers by politicians and other public figures is noteworthy for the opposite reason. Examples of acceptable criticism have grown rather outrageous. Some link this to partisan issues and single out conservatives for this practice in particular. They might just be the loudest or most effective. I hear it in both my left and right ears. The current federal administration is driving reform so deep that is likely to embed deeper than a deer tick. Scary to think much of this reform is unproven but its impacts are huge. The political left, historically seen as a champion of educational reform, are cashing in the bad teacher and failing schools card both with an ambiguous foundation. Many within education have spoken out in opposition to current reforms. Rather than sit down with teachers and listen to ideas as they say they are doing, they sit down with Gates and Wall Street. When teachers express concerns they are dismissed and portrayed as stuck in the past. Teacher Unions have lost influence and been relegated to only being involved in issues involving compensation. From the other side of the spectrum many take direct aim at our schools. Here's some examples. Speaking about teachers "their carefully orchestrated, partially hidden agenda has deliberately steered the public schools, its teachers and children down a disaster road to socialism, secular humanism, radicalism, planned failure in reading and writing, suffocation of Christianity, the trashing of basic values and the establishment of one of the most powerful and dangerous unions, the National Education Association". Another from a Congressman "protect children from mental, physical, emotional, and sexual abuse by secular humanists in a socialist society or governmental system.” Hmmm...thanks for the kind words. One local bully turned "host" continues to ask "Do you know who's teaching your children?" Even going so far as to post among his various youtube clips one of a student who went to a school board meeting asking for more tax support for education. Another singled out a teacher who attended a political rally featuring the president and he added a blog post featuring "anonymous testimony" from a student accusing the majority of the teachers at the school of being too liberal. To presume that to be the case is an insult. Once he targeted a teacher for posters supporting peace and environmental responsibility. He's put a bunch of similar clips up in what I can only I judge as a sad effort to discredit our teachers and schools. The most recent zeroed in on how the athletic departments at local schools had "illegal" contracts with apparel companies. Way to go! You guys are great Americans and do a great service to our nation. 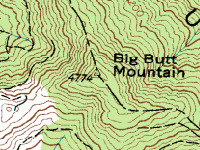 I'm currently working to have your faces carved on a local mountain. I've never heard this local working in a constructive way to help our schools or teachers let alone actually say anything good about them. All bad, all the time. Just doing what bums like this do, trying to get ratings and get attention. I am smart enough to not engage him, that's what he wants. He's a smart guy, but so was another guy a ways back named Joe. What I would like to do is point this out for what it is...Educational Mccarthyism. Any decent teacher knows we can't say whatever we want in class. On issues ranging from evolution to the President we have to use sound judgment and we are always under the microscope. I think parents should have a certain expectation of objectivity. It can be tough but increasingly we are forced to defend ourselves for no reason. Here's a radical idea, if you have a problem, call the teacher. Don't go on TV or through the media. But really, who's teaching your kids? Allow me to take a moment to tell you. We are overworked and demoralized. Increasingly we are made responsible for all that seems wrong with the nation. We have low morale, are arguably underpaid and feel unsupported. We are frightened of where the past decade of federal efforts are taking us. As local districts and states scramble to adapt and even just maintain some level of quality amidst the barrage of economic and political shifts, the lowly teacher hangs on as the boat rocks, many of us saddened we've seen our abilities to be effective reduced. I suppose we stay cause we think our work means something. We enjoy actually teaching. We value interacting with the young and their families and working with them to develop into people who will inherit the world. We believe in the good our schools do. But who listens when we speak of our concerns? The collective voices of teachers have started to rise against things they think are bad ideas. But it is hard to speak out when you are a teacher. You're quickly linked to the evil unions or made out to look self serving. Blanket phrases like "failing schools" and "wasteful" are thrown out to muffle your voice. Our personal voice isn't just limited in the classroom on curricular matters but also anything connected to education. Locally I've spoken up about more things in the past 6 months than in my entire career. Most of what I said with my colleagues has been ignored and some even used it as proof we are not objective. Teachers are shouted down with a voice reminiscent of Tailgunner Joe. We are ignored, discredited, labeled and singled out. What's hard here is that it doesn't take long to find what teachers are saying(the internet is one safe outlet to express discontent), but you sure don't hear that anywhere. The media doesn't seem interested in our concerns and chooses to direct attention towards politically driven plans that make little educational sense. Where and when can we say what we want without fear and actually be heard? Maybe the public no longer has the attention to sit through televised hearings as they did in 1954 when Joseph Welch stood tall. Perhaps it was merely conincidence that recent issues with Blogger caused the removal of all recent blog posts and converting blogs to "read-only" status for the last two days. We here at the Underground aren't too sure. It could be that the content of our most recent post "Educational McCarthyism" rocked the boat just a bit too much. No need to worry, we're on the case and if you're looking for the post on "Educational McCarthyism" we hope to repost before the day is done. Bad things are happening in Virginia. As a public institution, our schools are part of a system "for, by, and of" the people. Increasingly, the public has allowed too much distance between themselves and the decision-making that drives policy in our schools. I can't help but feel that political and educational leaders are fine with this. It makes the hard work of having to justify and take responsibilities for making decisions a little easier. The Virginia State Board of Education recently announced a Pilot Program that was conceived as a plan to earn Federal "Race To The Top" incentive money. The state did not receive the grant, but they've moved ahead with the plan. The plan is easily framed in language such as "performance pay" and "measured by student growth" which sound perfectly sound on the surface. Launching this program as a voluntary pilot also minimized potential backlash, so much so that the real news seems to have been lost. According to the Virginia Department of Education, the essential elements of this Pilot Program have already been approved for statewide use. Districts are encouraged to adopt them early, but the new Guidelines for Uniform Performance Standards and Evaluation Criteria for Teachers will take effect for the entire state by July 1, 2012. I suppose that since they've adopted the guidelines already, there is no need to evaluate the efficacy of the pilot to determine the guidelines' worth. Essentially, I see no genuine public discourse of the merit to this system and similar systems across the nation. It is easy to promote such a plan in today's political climate. Teachers have become a target, a scapegoat even for society. A plan that supposedly rewards the good teachers sounds great. The idea that you earn more pay based on better performance is quite an American ideal. To measure performance on how much a student improves over the course of a year instead of a final absolute score sounds pretty fair as well. This is why the public discourse is needed. As good as this plan sounds, it is terrible. We need more public awareness of this plan because I for one would appreciate a better explanation from our leaders about why this plan is good. I would also like for the public to be more aware of the pitfalls of this plan so that leaders would have to address their critics and constituents. I encourage you to read our previous post "Taking A Stand in Virginia and Texas" if you haven't yet. But don't think that we at the Underground are a couple of lone nuts speaking out agains the system. Mary Tedrow wrote a piece for the Washington Post "Answer Sheet" blog today specifically addressing problems with the Virginia system. She articulates the issues much better than we are able, so we strongly encourage you to read "Virginia's Ill Advised Assessment Experiment." Also on today's Answer Sheet you can find an article by John Ewing, president of Math for America, explaining the pitfalls of Value Added Measures. The article "Leading Mathematician Debunks 'value-added'"is a little longer, but if you're interested in a more academic discussion of the problems with the metrics used for 'value-added' it is worth the read. Both articles do an excellent job of moving beyond the effect on teachers and describe the negative effect on students and learning arising from this movement. We continue to appreciate the support that everyone has given to us at the Teaching Underground. 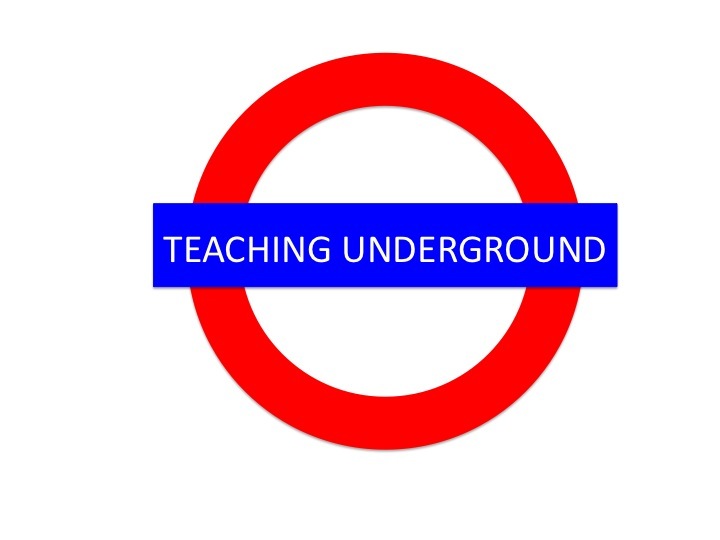 I really only expected a handful of readers, stumbling on our page from time to time through a google search, but over the last six months or so I've been pleasantly surprised by how many people either follow or subscribe to Teaching Underground, and the number of people who read what we have to say. We appreciate all of our followers, whether in Arizona, Michigan, or Florida, but we especially appreciate our colleagues who take the time to read our posts and comment face-to-face. One such colleague (we're not sure if he wants his name used or not, but if you're local, there aren't but so many bike-riding, tie-wearing, Latin teachers in the county) recently shared an article from the New York Times that we liked so much we wanted to share it here. I've included an excerpt below, click the title to read the entire article. When we don’t get the results we want in our military endeavors, we don’t blame the soldiers. And yet in education we do just that. We have a rare chance now, with many teachers near retirement, to prove we’re serious about education. The first step is to make the teaching profession more attractive to college graduates. This will take some doing. "The great uncertainty of all data in war is a peculiar difficulty, because all action must, to a certain extent, be planned in a mere twilight, which in addition not infrequently — like the effect of a fog or moonshine — gives to things exaggerated dimensions and unnatural appearance.". Fog of War is also the title of an Errol Morris film based on interviews of former Secretary of Defense Robert McNamara. He emerged from the business world to lead another but very different arm of the government(see related post here or here). The film mostly deals with Vietnam and the fundamental misunderstanding of American commanders about what was really happening on the ground. A parallel can be draw n to the current state of education from a teachers point of view. Those currently directing the course of public education from the top at the federal, state and local level are lost in the fog. They arguably possess a more omniscient point of view than teachers yet continually fail to effectively understand all that is happening in the current landscape at the classroom level. They, like McNamara are applying business concepts and ideas to the world of education. One of the chief impacts of this course might be the slow erosion of valuing of teacher/student interaction. Sacrificed as a result of the focus on testing and measurable results in an AYP world. What's worse is these individuals lacking clear insight have either accepted or promoted misconceptions about the reality of what needs to happen in education albeit unintentionally. Some of these ideas purposefully pushed by groups and organizations that put ideology or profit ahead of the student. The tragedy of this situation is it means things could potentially grow more challenging for the educators in schools working so hard to help, parents and of course kids. The impact is teachers burn out, get demoralized and even quit. This leaves those really at risk, the kids and parents feeling under-served and the cycle worsens. In our current economic climate many folks get engaged in the debate on the local level concerning taxes and education funding. Usually things come to a head at a public meeting where all sides speak out. The impact of increases or decreases in funding are usually less than what either side contends. But cuts adds up. The sum total is subtle changes occur that affect the quality what we do. In focusing on these local budget issues or even on an individual school's improvement we can all get lost in the fog. It is impossible to exist in a public school and avoid the adverse effects of the push for results. We can be complicit in this when we simply "feed them what they eat" ...or talk and report in a way that we think higher-ups either want or that paint us in a favorable light. An ailment common among large bureaucracies and given the division of labor in schools no single level is fully responsible. It is easy to forget what we are actually there to do, teach and help young people develop and grow. The only effective way to get a sense of what is really taking place is to be as close to these issues as possible. As momentum for change mounts many current efforts coming from the top will in fact will continue to devote energy and resources away from where they are needed, classroom instruction. I cannot name a current reform which to me shows promise of helping increase the time, quality or ability to interact with students. They will likely trade what matters most for what matters now. Absent the insight of the actual events within a school the fog will simply continue to thicken obscuring the view. Mistakes will continue to be made by well meaning individuals at the top. I have heard it said of military policy that only those who have put their life on the line get to second guess the soldier in the field. I feel much the same with regards to teaching and education policy. A strong suggestion is that anyone entrusted to chart a course for policy be both familiar and in touch with those below the layer where they are unable to see.